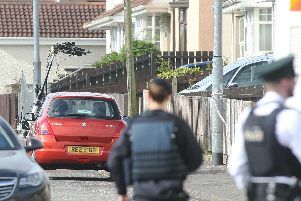 A man arrested by police investigating the death of little Donnacadh Maguire in Londonderry has been released on police bail. Police said this morning that officers are continuing their work to establish how the six-year-old boy came by his injuries, and have issued a fresh appeal for witnesses to come forward. Donnacadh Maguire was found significantly injured in the road at Tyrconnell Street in the Moor area of the city shortly before 10.30am on Tuesday morning. He was taken from the scene to hospital, where he subsequently passed away. Inspector O’Brien had said yesterday: “We are working to establish exactly what happened and we are keen to speak to witnesses. Tyrconnell Street remained closed for much of yesterday. Local representatives have spoken of the palpable sense of shock in the community.